New Hampshire is not going gently into the era of internet sale taxes. At a state house press event, Gov. Chris Sununu announced his administration’s strategy to fight the outcome of a Supreme Court ruling giving states the power to require businesses with no local physical location to still collect their local sales taxes. Sununu’s strategy includes calling for a special legislative session next month to pass a bill protecting the state’s businesses, who currently collect o sales taxes, from being required to do so for other states. 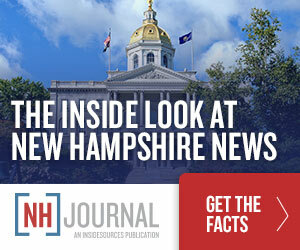 “New Hampshire does not and will not ever impose a sales tax,” Sununu said. “With this proposal, we will send a message to every out-of-state taxing jurisdiction and authority. If you try to come into our state and force our businesses to collect a sales tax in a manner that violates our laws or the United States Constitution, you will be in for the fight of your life,” Sununu said. “We are not going to allow other jurisdictions to force you to become their tax collector,” Sanborn said. There are serious questions about whether New Hampshire’s approach can succeed in thwarting a federally-imposed tax policy at the state level, but the Sununu administration is determined to try. And he has support from across the aisle. Both of New Hampshire’s Democratic Senators are backing a move to overturn the Supreme Court ruling extending internet sales taxes. “Make no mistake, this legislation is a direct threat to Granite State small businesses,” Senator Jeanne Shaheen said in a statement. Sen. Maggie Hassan is joining her in proposing legislation to essentially overturn the court ruling, though passing such legislation in Congress when 45 states have sales taxes–and state governments hungry for revenue–is a long shot.